Afreeca World - Invitational 34! 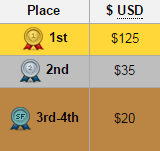 Thanks to AfreecaTVs & your support I'm happy to announce the thirty fourth AfreecaTV World Invitational! The first invite is current champ Player1's PartinG the Korean Protoss back for another event. The opponent for PartinG is PSISTORM's TRUE the Korean Zerg. The next invited player is ROOT MC the Korean Protoss. 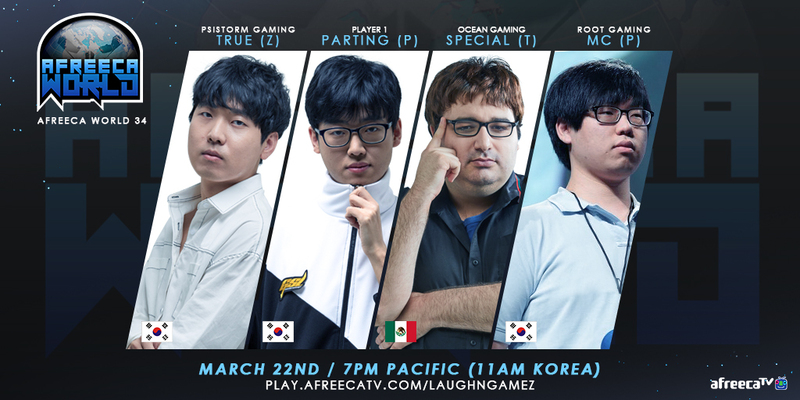 The opponent for MC will be Ocean Gaming's SpeCial the Mexican Terran. This is our first event with matcherino! Check it out at https://matcherino.com/tournaments/14192 and support the event with code "AW34"! You can pick up the replays for supporting the event! Really enjoyed this event and had a blast!